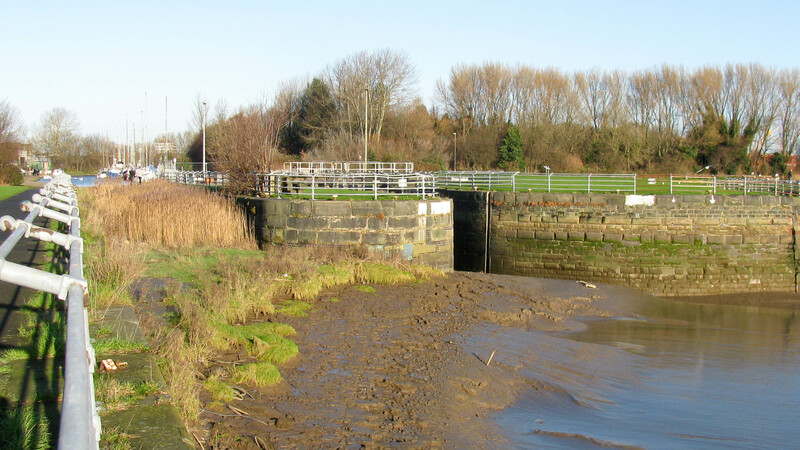 The entrance lock to the St Helens Canal from the tidal River Mersey is only useable near high tide. There were once a pair of locks here and the position of the derelict left hand lock is easily identifiable. The SANKEY Canal was in place long before St.Helens became a town. The ORIGINAL name of the canal is the Sankey Canal.